Russian renowned researcher Dr. Leonid Ksanfomality has reported that he found several objects resembling living beings on images made by the Venera-13 spacecraft. Dr. Ksanfomality is a senior researcher and a head of the Laboratory on Photometry and Thermal Radiometry at the Space Research Institute, Russian Academy of Sciences, and a contributor to Venera missions in 1970-80s. In the discussion paper, published in the January issue of the journal Astronomicheskii Vestnik (Solar System Research), the researcher re-examines panoramic images taken by the Soviet landing probe Venera-13 and describes three objects which he claims have some characteristics of living organisms. 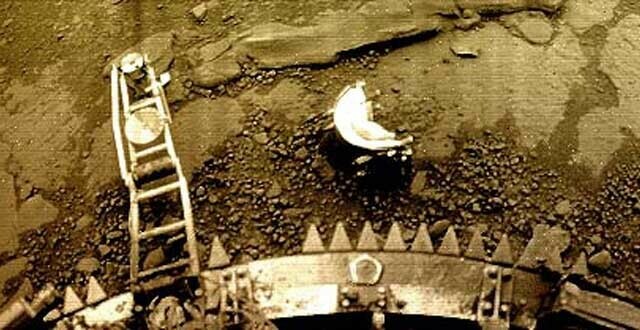 This probe successfully landed on Venus in the Navka Planitia in the eastern part of an elevated region known as Phoebe Regio on March 1, 1982. 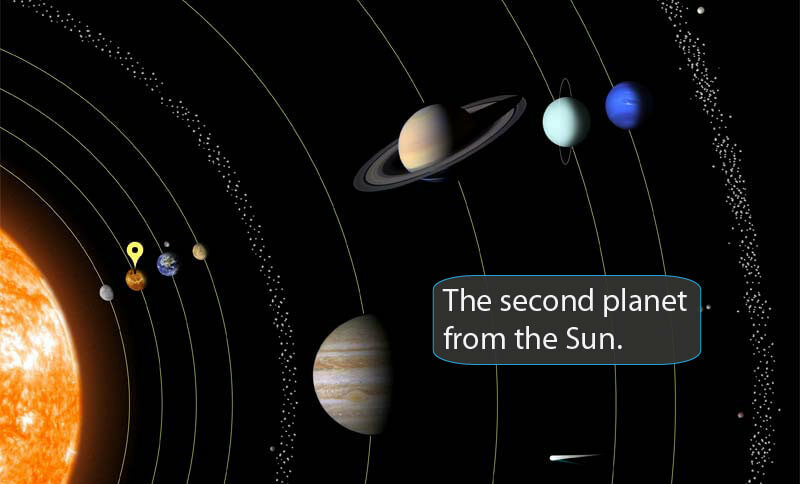 It survived for some 127 minutes and returned panoramic images of Venus’ surface. Dr. Ksanfomality analyzes a few series of images taken by two cameras (V-13-1 and V-13-2) of the Venera-13 in attempt to identify objects or phenomena associated with their appearance, disappearance or change of their forms. “A few relatively large objects were found with size ranging from a decimeter to half meter and with unusual morphology. The objects were observed on some images, but were absent on others, or altered their shape,” the researcher writes in the paper. Dr. Ksanfomality hypothesizes that a position of the ‘disk’ changed a little relatively to the upper limit of the image due to heating of the lander and a slight change in a position of the optical axis of the scanning camera. “The figure shows a sequence of images of ‘disk’ (arrow a) and its surroundings. In the first two frames of the figure, the shape of ‘disk’ and ‘broom’ almost do not change. At the 72 minute at the bottom of the disk a short arc appeared. In frame (86 min) the arc lengthened by several times, and the ‘disk’ was divided into fragments. In the next frame (93 min), instead of the ‘disk’ the symmetrical bright object appeared of about the same size and of a regular shape (b). It is formed by numerous angular folds, such as chevrons,” he writes. The most interesting object is a ‘scorpion’. It appeared together with the adjacent ‘semiring’ at its right side around the 90th min after landing on an image taken by the V-13-1 camera. “Before the appearance of the ‘scorpion’ the lander has been working for more than 1 hr 27 min. Thus, our first assumption was that this regular structure was a product of destruction of some part of the lander. But the lander Venera-13 continued to work after it for a full hour. The systems’ operability showed that the crash had not happened yet, otherwise the lander would have failed due to catastrophic overheating,” Dr. Ksanfomality analyzes. “On the first image (7 min), on the ejected soil is a shallow oblong groove visible, with its length about 100 mm. In the second image (20 min) sides of the grooves are raised, and the length increased to about 150 mm. The orientation of the grooves is the same as that of the ‘scorpion’. In the picture of the 59th min a part of the regular structure of the ‘scorpion’ appeared,” the author describes in detail. Dr. Ksanfomality also emphasizes that no retouching or adding details was applied to the image processing. The author explains that there was a strong impact on the surface when the probe landed and that it destroyed the soil to a depth of about 4.5 cm ejecting it aside.